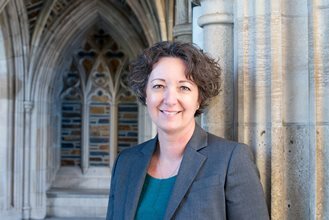 The Duke Office of Audit, Risk and Compliance (OARC) provides value added services across the entire institution, including Duke University, Duke University Health System, and DUMAC. As a service provider within Duke, we consider first the needs of our stakeholders. With this approach, we foster open and collaborative relationships, risk-focused engagement and opportunities to identify improvements to crucial governance, financial and operational processes and procedures. We have ensured that communication with our stakeholders and staff development support our mission to advance and integrate risk awareness, internal controls and compliance requirements as well as to collaborate on proactive and innovative improvements to business processes through high-quality assurance and advisory services. To provide for the independence of OARC, the chief audit, risk and compliance officer reports administratively to the president of the university and the chancellor of DUHS and functionally to the boards and audit committees.